I flew from Stockholm to San Francisco today. It was a long but quite ok flight and did not feel nearly as long as it actually was. It was probably due to some unexpected “in-flight entertainment” I experienced. I am very excited about nature phenomenon in general but sky phenomenon in specific. So, when we flew over France and I saw the peculiar image above I was really amazed. 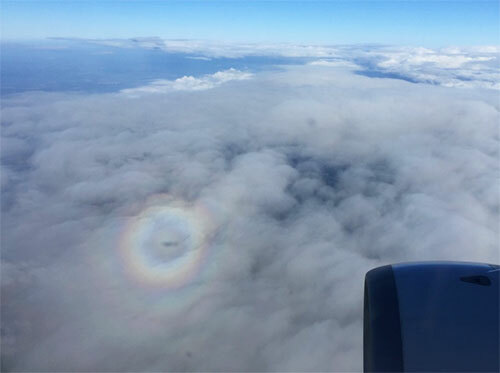 As you may see there is a circular “rainbow” and the shadow of our plane in the center. 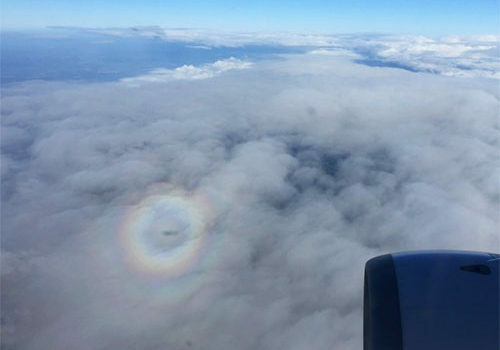 Some helpful people on Twitter helped me out in understanding this is an optical phenomenon called a Glory. Leaving Paris and while ascending I saw another phenomenon that is much more common. Yet, I still appreciate it every time I see it. Lastly, and quite unexpected, was that the in-flight safety video from Air France actually caught my attention. I have seen and heard those hundreds of times and nowadays they are usually in your entertainment system. At first I did not realize it was actually a safety video, or if it was a serious one but it sure was. Now I am finally in my bed in San Francisco. 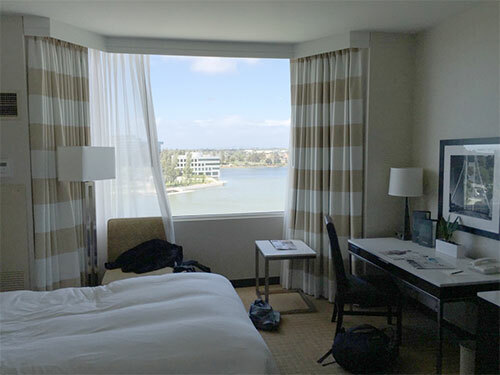 We are staying on Oskar’s bonus points at the very nice Sofitel in Redwood City. Really looking forward to some sleep now!